Anticipation keeps on building as the world awaits the arrival of baby Sussex, which should happen anytime soon. 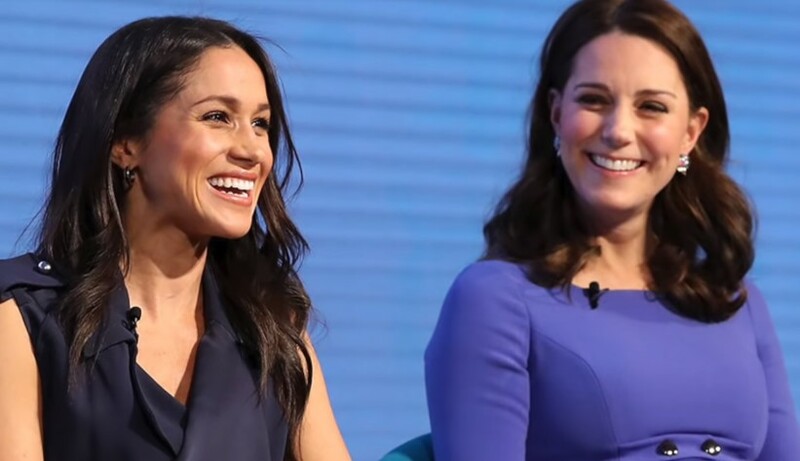 However, the growing excitement of a new member for the family comes amidst recent buzz that there was a royal quarrel between Duchesses Kate and Meghan. This makes us wonder what kind of relationship Kate will form with her future niece or nephew. Although no one can tell for sure before the baby is born, there's some insight that could help us clear this up. 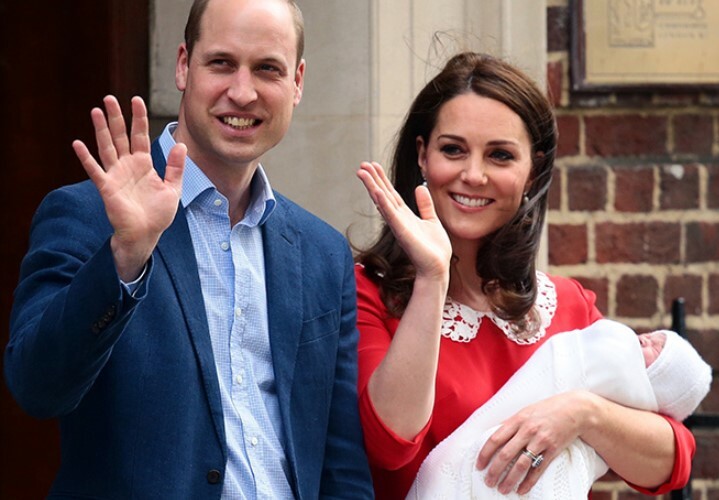 Get to know more about the dynamics in the British royal family and the possible bond of the Duchess of Cambridge with the upcoming baby Sussex. Let's delve into this! To clarify the matter in question, it could also be helpful to look over how Middleton gets along with Harry, the father of baby Sussex and her brother-in-law. Fortunately, the two have been very close since Kate joined the royal family, and even before. In fact, Harry had an adorable gesture with his sister-in-law before her official engagement with William. 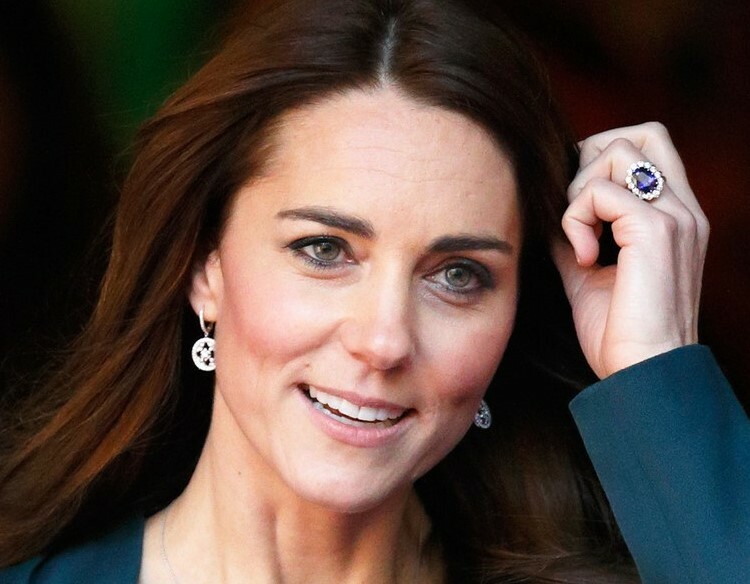 As The Diamond Store Magazine explained, Harry was willing to give up his sapphire ring that belonged to the late Princess Diana so that his eldest brother could give it to Kate. Harry had previously gotten it from his mother jewelry collection, as a memento following Lady Di's demise, but exchanged it with his bro for that special event. 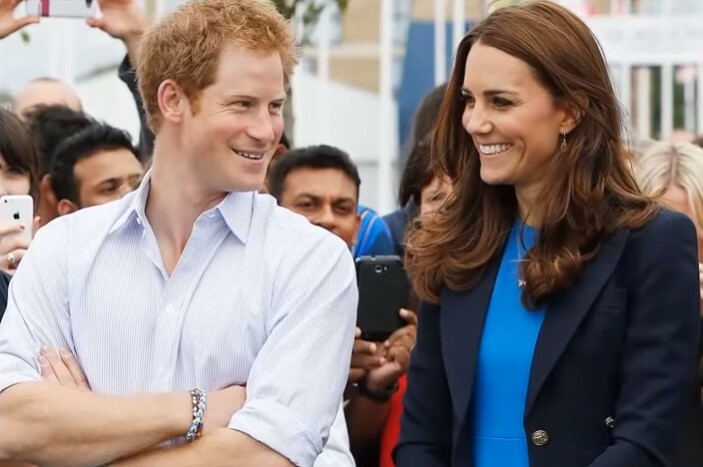 The source explained that Harry thinks fondly of Kate as a sister, and both the ginger Prince and his brother wanted her to have Diana's ring. Moreover, Harry and Middleton have been spotted laughing and joking around, which confirms they are the best of friends. Before Harry tied the knot with Meghan, the media even dubbed the two brothers and Kate "The Three Musketeers." How adorable is that? "There was no one filling the hole left by Diana’s death, and Harry seemed to be growing up without someone emotionally available he could lean on. Kate has helped fill some of that gap. When she and William got engaged, Harry called her the big sister he never had." Reportedly, the ginger Prince usually goes to the Cambridges' apartment at Kensington Palace to share a meal with Catherine. She also gives him a hand with everything from cooking to romantic advice. Now that we know Kate has such an incredible bond with Harry, we cannot expect less from her with his firstborn. 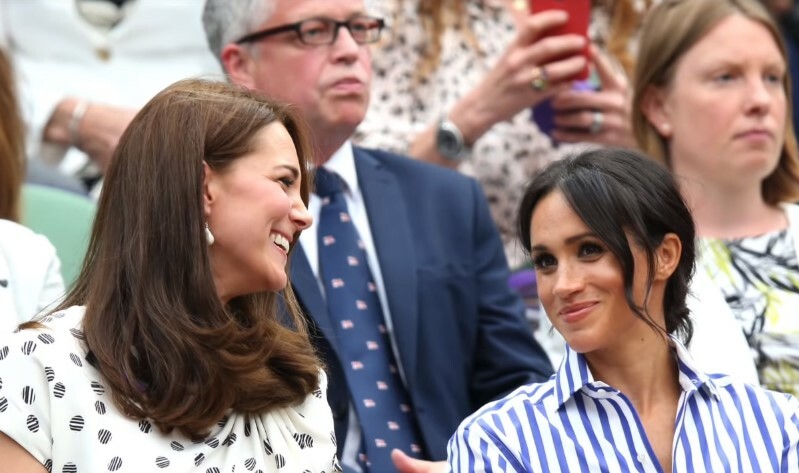 KATE AND MEGHAN: A ROYAL FEUD? Now, we get to a sensible point: the relationship between the two Duchesses, especially considering the buzz of various disputes among them. According to Glamour, it all dates back to the pre-planning period of the royal wedding last May. Rumor has it that Meghan made Kate cry following a dress-fitting session for Charlotte. 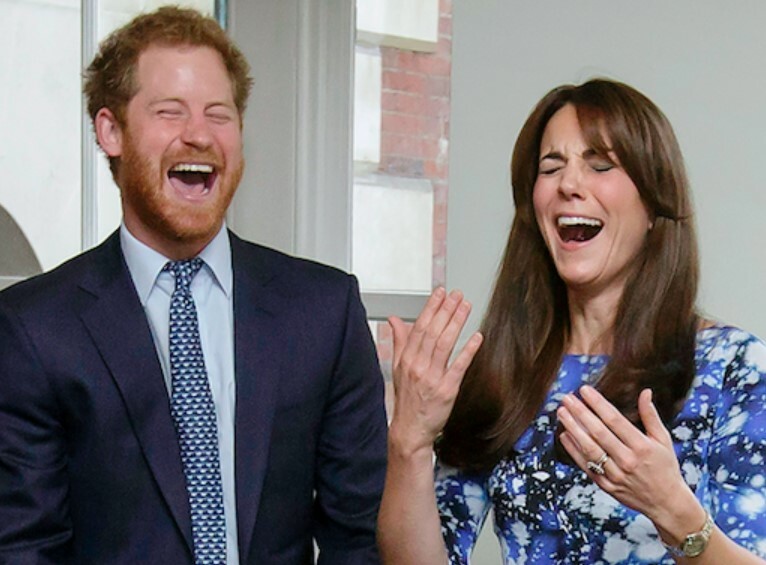 Then, we got some gossip about Meghan and Harry moving out and splitting the royal household because of a fight with William and his wife. No one can confirm or deny whether there's a true estrangement apart from the very royals (which will most likely never happen). However, it seems that the Duchesses get along well. Of course, they are very different, with opposite dynamics and lifestyles. 'Glamour' asserted that chances are the female royals are just standard sisters-in-law, of those who are friendly but not best friends. Furthermore, Elle affirmed that the females have a very supportive relationship behind the scenes with private get-togethers. "There is still going to be some sort of private baby-centric event for Meghan’s UK people, and Kate will host. Her glam people and other relatives will be there. Not sure if it’s a total baby ‘shower,’ but you could probably call it that." 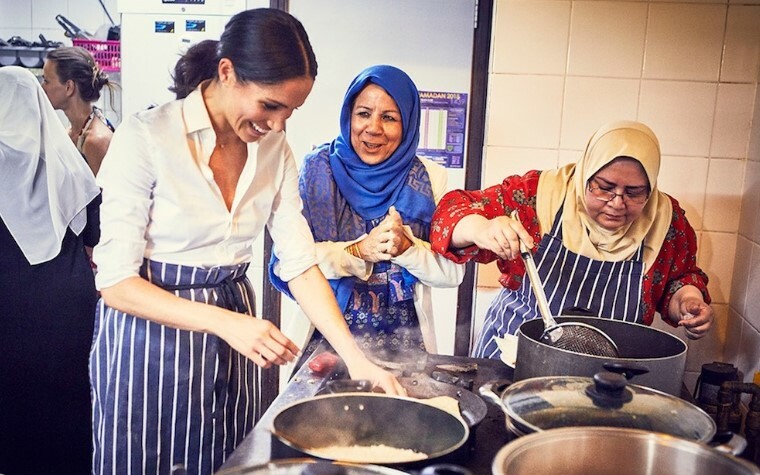 With this in mind, it's very likely Middleton will be just the right auntie baby Sussex needs. Who knows? Maybe once the two females are mothers, they will have more things in common to grow closer and become the BFFs everybody wants them to be. Apart from that, notwithstanding any kind of rift, it shouldn't thwart whatsoever the future relationship Catherine could have with Meg's firstborn. To get an idea of how Middleton might be with her new relative, we can also take a look at her current relationship with her nephew. As we all know, Kate officially became a royal aunt following the birth of her first nephew in October 2018, according to Town & Country. To refresh your memory, Arthur Michael William Matthews is the first child of Pippa, Kate's younger sister. What was even better was that the arrival happened only six months after Prince Louis was born (by the way, his birthday is coming soon. Check out this info!). Speaking of Arthur, Kensington Palace issued a statement on behalf of the royals stating, "The Duke and Duchess of Cambridge are thrilled for Pippa and James." And as for her children, Catherine has often been described as a super royal mom who has managed to bring her three kids up and be a Duchess at the same time. Middleton is a very hands-on mother who likes to be out and about with her children and spend time with them. But KiwiReport asserted that she isn't afraid of disciplining her little ones in public. We have seen George and Charlotte throwing tantrums during royal events, but their mom jumps into action immediately to handle them. Besides, she is also known for having strong family values. Knowing Kate's good relationships with her offspring and nephew in mind, it's safe to assume the same will be for baby Sussex. Of course, we have to take into account that as a future Queen, Kate's always been somewhat reserved. So it's very probable she would never publicly show her excitement or closeness to baby Sussex, although she did mention her enthusiasm for the upcoming royal, as per CheatSheet's report. WHAT ABOUT MEGHAN WITH THE CAMBRIDGE KIDDOS? Last but not least, let us give you some insight into how close Meghan is with Prince George, Princess Charlotte, and Prince Louis. And it seems that they have a pretty good relationship indeed! Even though we haven't seen them much together, this doesn't mean the relatives don't have a close bond. But consider this. 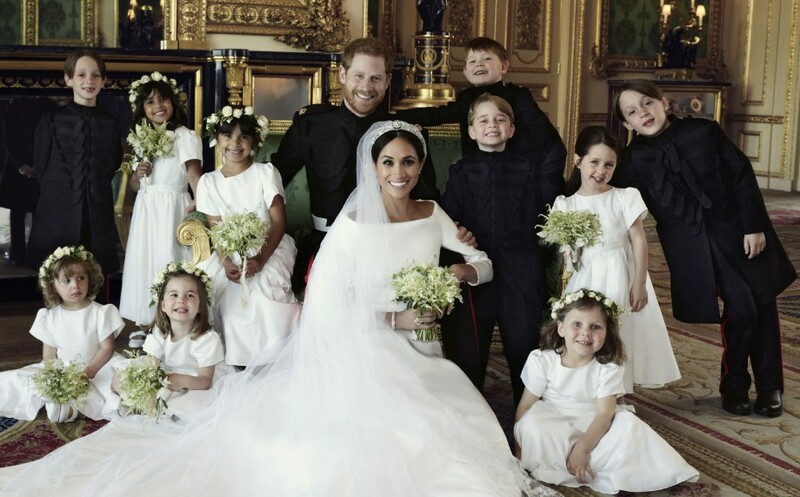 The Cambridge children were part of Markle's bridal party for her royal wedding, with George being one of the page boys and Charlotte as a bridesmaid along with other girls. Secondly, the former actress cheerfully attended Prince Louis' christening, which shows a good bond with her newest nephew. Besides, Her stated that Meg had taken advantage of her cooking skills to win over her niece and nephews. The media outlet said, "Meghan often pops around to visit with Kate and the kids, dropping off treats." Which kid wouldn't love an aunt like that? 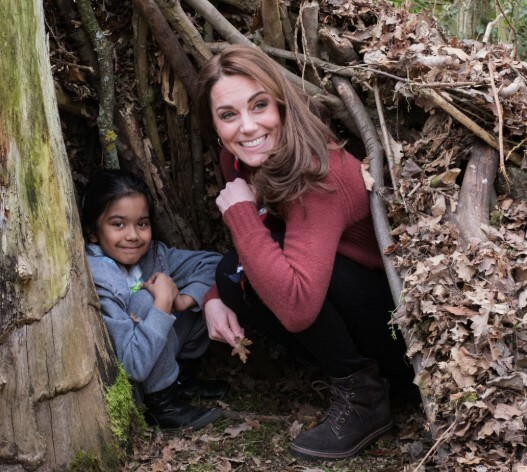 With all this evidence, it can be said that there's every likelihood Kate Middleton will have an awesome relationship with her future niece or nephew, don't you think so? We'd be more than pleased to know your opinion, so all you gotta do is to drop a message in the comment section down below. Till next time! When you're a first-time mother, you wouldn't hand your bundle of joy over to anyone. Now that the arrival of Duchess Meghan's firstborn is closer than ever, reports indicate she might not be hiring a nanny. We tell you why in this article!